"This song is about being torn between two places - Stockholm and Sydney." 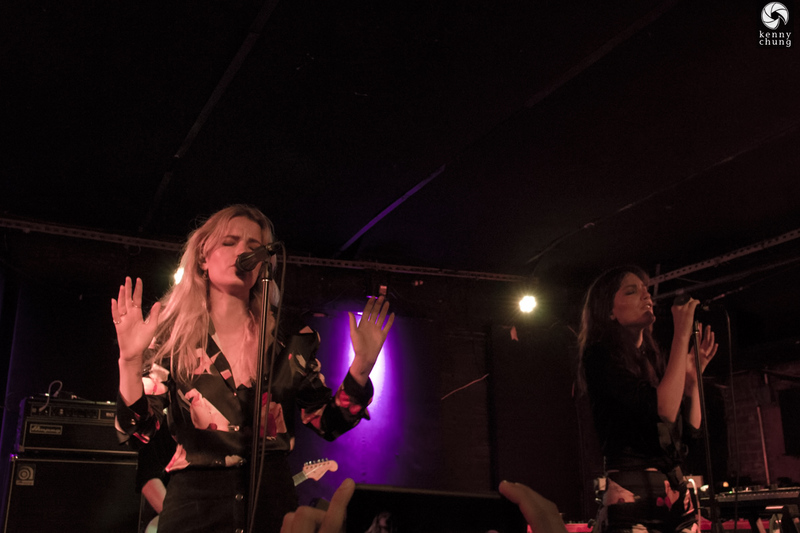 On the heels of their debut album "Lucid Dreaming", Say Lou Lou played a pair of shows in New York (their first in America). 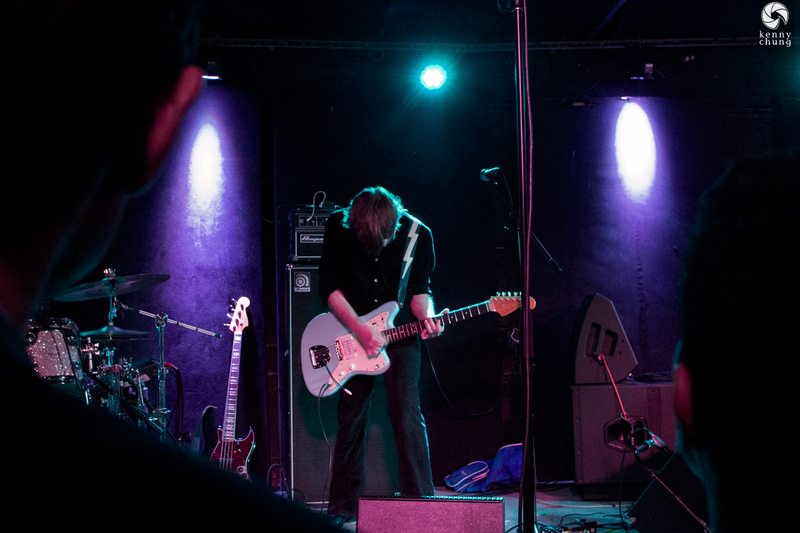 The second night was at Mercury Lounge, a mainstay venue for up-and-coming and international acts. 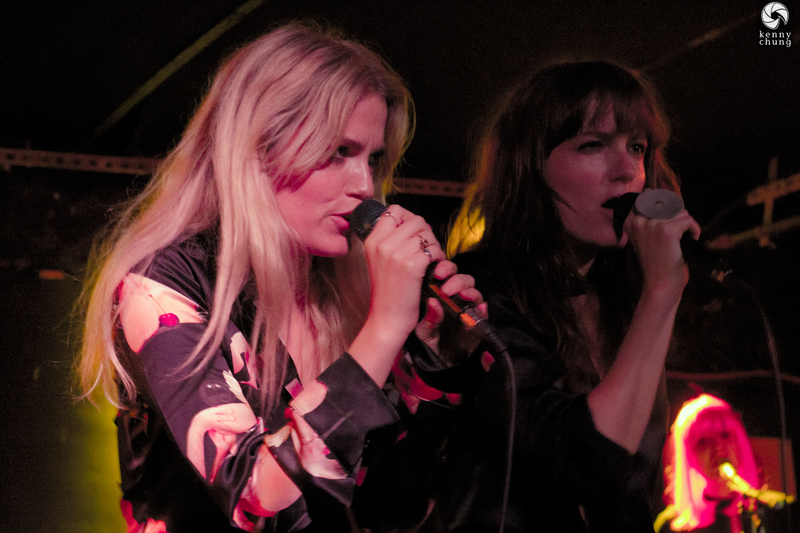 Say Lou Lou (n�e Saint Lou Lou) is made up of twin sisters Elektra and Miranda Kilbey-Jansson. They were born in Sweden, but were raised between Stockholm and Sydney, and have written songs about the duality of their background (hence the quote at the top of the page). 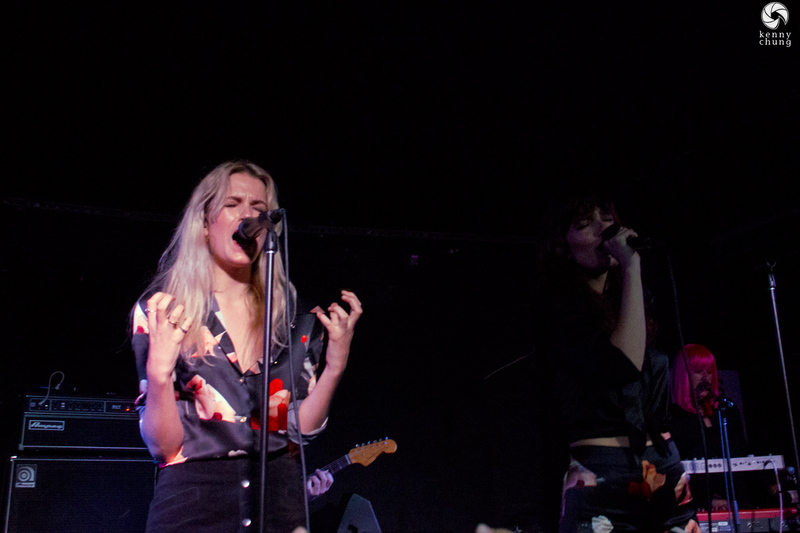 I first heard Say Lou Lou two years ago on YouTube on several Indie and electronic music channels. The song that hooked me was "Maybe You". 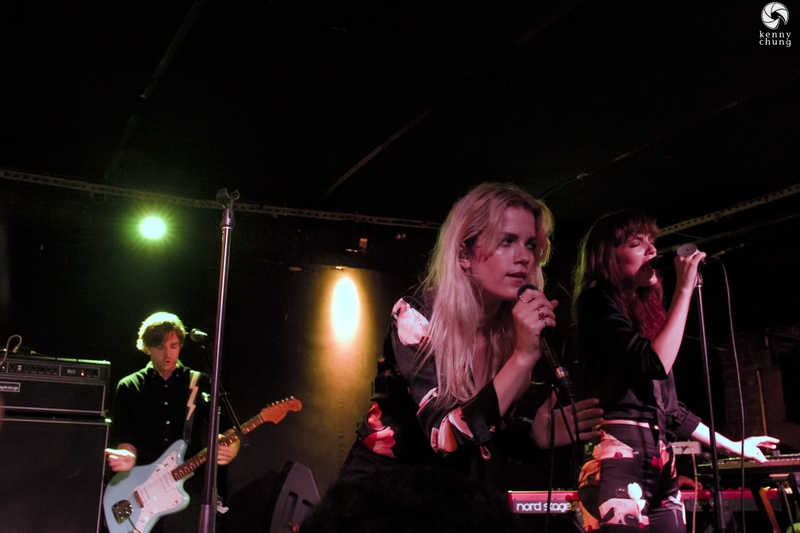 Since then, I'd seen more and more Say Lou Lou tracks gradually pop up on the radar, including a Chainsmokers remix of "Julian" and "Beloved" (video to the left). 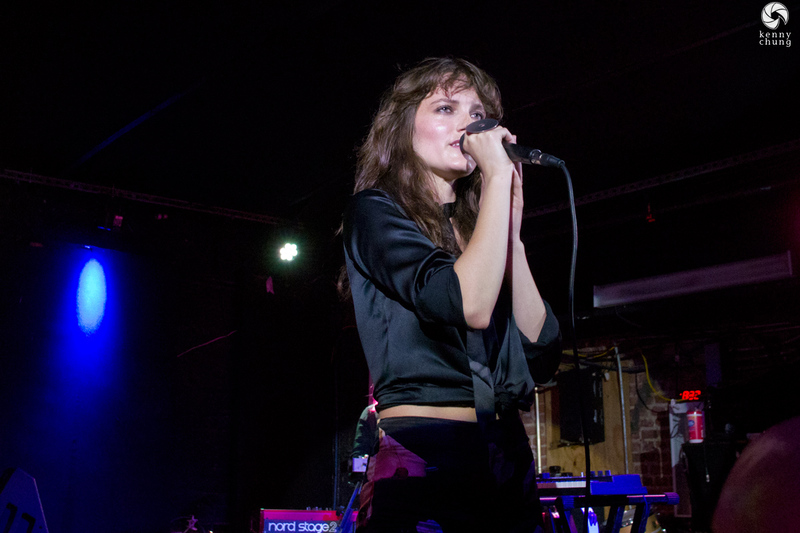 The opening act of the early show at Mercury Lounge was Okay-Kaya. She was accompanied only by her black Epiphone SG guitar. Her sound was raw and her playing was characterized by sparse minor chords and doublestops. My favorite part was when she harmonized her voice with her playing. There's not too much information about Okay-Kaya, save for a few videos like "Damn, Gravity" and "Clenched Teeth". From the information I've seen, Kaya Wilkins also daylights as a fashion model. 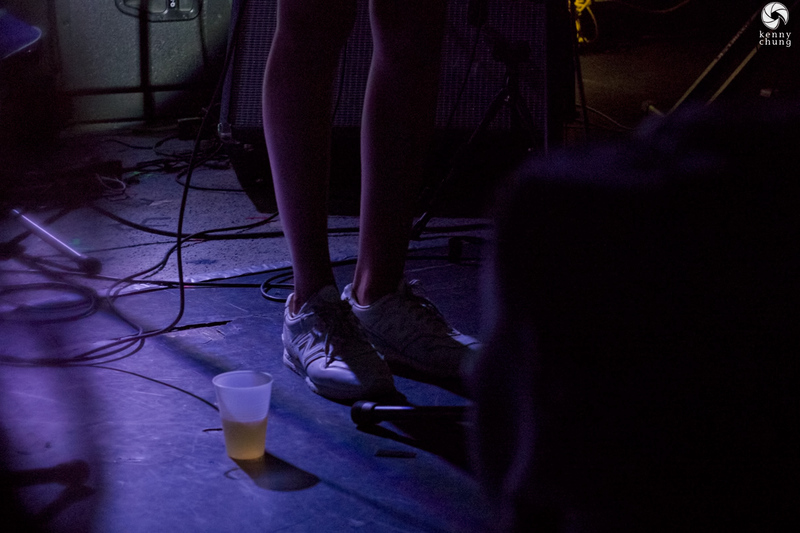 Of course, I always take note of what shoes people wear on stage; Okay-Kaya took the comfort route. 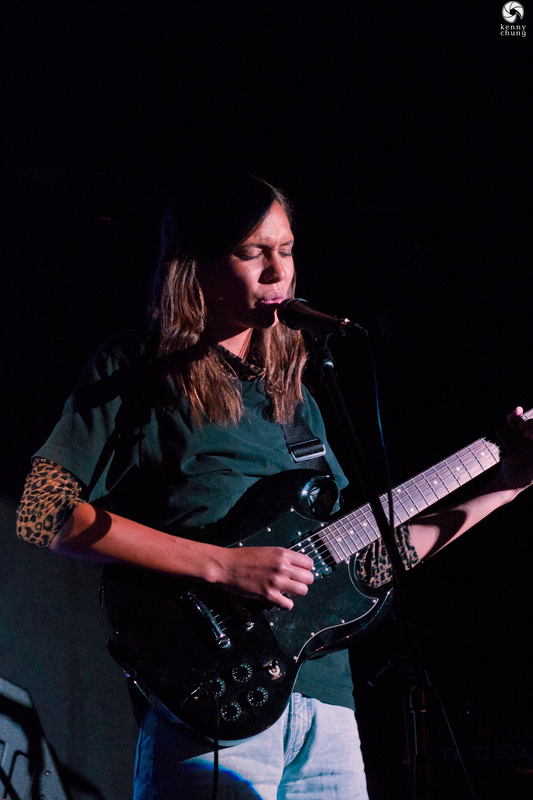 She closed out her set with a track that featured her singing in her native Norwegian tongue. All in all, she stumbled a bit through nervousness and forgot some lyrics/chord changes, but she definitely has potential in the melancholic downtempo space. I imagine she'll gain traction from having one of her songs remixed and distributed widely across the Indie blogs. 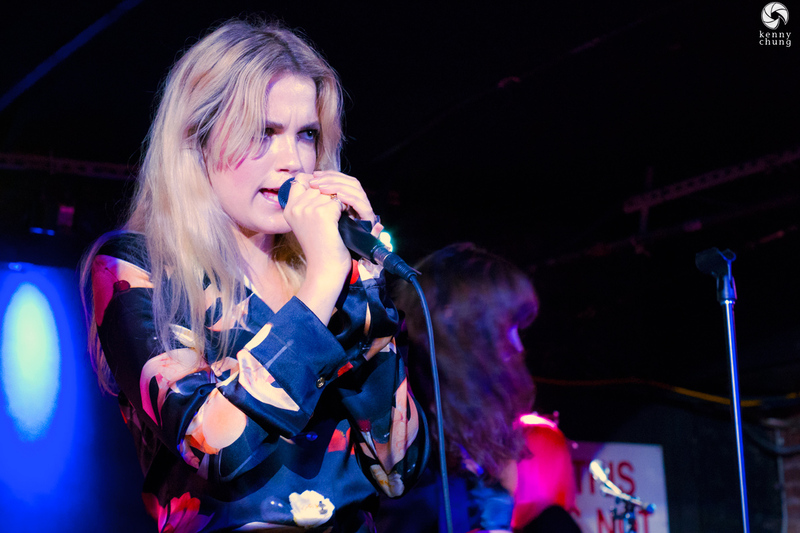 Say Lou Lou hit the stage at 8pm, with twin sisters Elektra (left) and Miranda (right) accompanied by a full band (a drummer, guitar/bassist, and synth/keyboard player). After listening to their tracks on YouTube for a few years, it was great to see how they were able to reproduce their sound live. The two Kilbey-Jansson sisters literally shared the spotlight, and took turns singing lead on their tracks. Their voices were at the same time similar but distinctive, and complemented each other the way that singing together for a lifetime does. I've gone this far without mentioning their parents, but it's worth noting that the twins are from a musical background as well. They are the daughters of Steve Kilbey (of The Church) and Karin Jansson (of Pink Champagne). This also explains why they were shuttled between countries during their childhood. Besides synchronizing their harmonies with each other, Elektra and Miranda also coordinated outfits. The blouse that Elektra wore seemed to be part of the same ensemble as Miranda's pants. The two twin sisters also had matching moon tattoos on their wrists. There's probably some symbolism here about how intertwined they are (yes, the word "twin" is in "intertwined"). 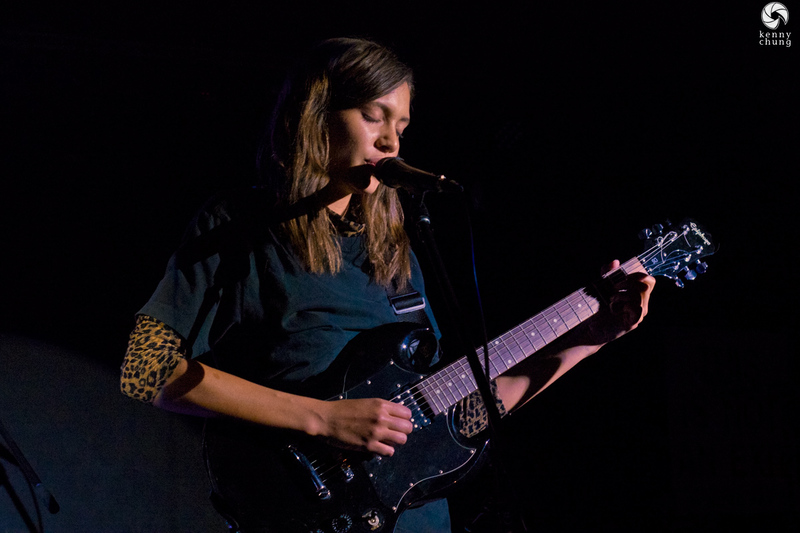 Miranda closing out a very energetic set from Say Lou Lou. They played a 45 minute set before exiting the stage and having the band rock out to end the early show. It was a good preview of their debut album, which I'm sure will have a few singles that resonate with the online audience. Glad I got to see them live as they were top-notch performers.